You can click right HERE! For easy reference, click on the Tutorials tab above. 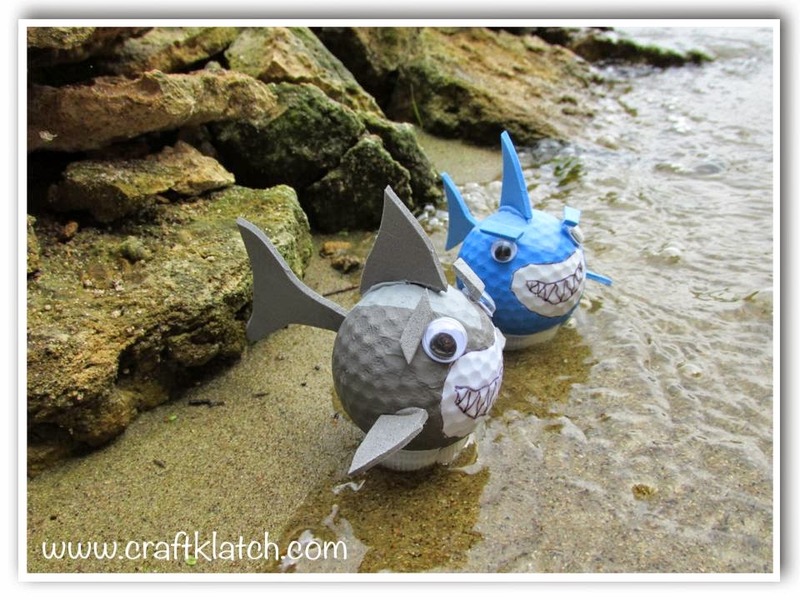 Here's another craft in honor of Shark Week! I was just watching as I was writing this and found myself fascinated and creeped out and fascinated and creeped out and FASCINATED! Here is a much cuter version of a shark than any I saw on TV! 1. Take your permanent marker and draw the mouth, teeth and outline around the mouth. I show you how to do it in the video. 2. Paint the darker color on the ball, outside of the outline. This will take at least two coats. 3. Once dry, cut out fins and tail. The dorsal fins are triangles, as are the two smaller side fins. The tail is also a basic shape. 4. Glue them in place. You can use hot glue or other glue. 5. Glue on the eyes. 6. Take the lighter colors and paint a pointed area between the eyes and follow it along to the tail. 7. Cut small strips from scraps. Glue them on the edge of the eyes, making them look angry. That's it! Keep your eyes open! 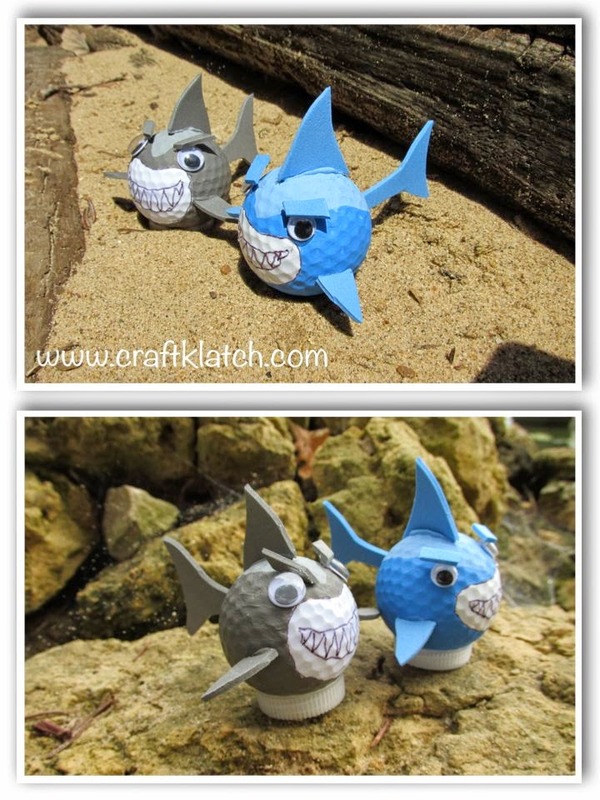 I thought I saw Totoro for the grey shark from the first photo! I like your diy! Looks cute! Let's Talk Fall and Halloween! Metallic Foil Coaster - Another Coaster Friday! Easy Fingerprint Shark Artwork for Kids!